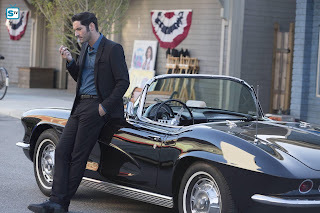 Lucifer ended last season with a number of stunning cliffhangers that left fans anxiously awaiting the start of this new season, and it didn’t disappoint, beginning with just as much excitement and intrigue as all viewers have come to expect from this fantastical show. The snarky jabs still perfectly interlace with the serious moments making for a perfectly blended series. Lauren German and Tom Ellis continue to deliver the best banter of any duo on television thanks to impeccable acting and smart writing. The world Lucifer inhabits is still as complicated and richly crafted as it was last season thanks to the visionaries behind this series. A big change, however, is that with the obligatory series setup and character introductions from the first season out of the way, the series can now focus more on evolving the world that these characters live in. And the show didn’t waste any time adding to the series in both the physical form via new characters and the mythological by delving into the origins of Lucifer’s family. 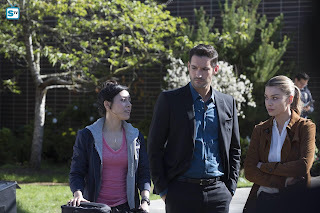 On the physical front, the show introduced both Ella Lopez (Aimee Garcia) and Lucifer's mom (Tricia Helfer) in this episode. Though, Ella got far more screen time thanks to the nature of the episode. I like Ella as a character; I imagine that she’s what Trixie is going to be like as an adult. Both characters bring a logical voice of reason to the show. Though, I do have one concern, that having this voice of reason in adult form will further limit Trixie’s time on screen. Trixie is too integral a part of the story to ever be sidelined for long, but even a single episode without her putting the adults in their place feels wrong. While I see no problem with Ella as a character I do hope that the show starts to do more to distinguish her from Trixie. There are a lot of comparisons between the characters just in this first episode, including when Ella awkwardly hugs Lucifer like Trixie does, or the fact that she watches the same show as Trixie, and she even has the same bubbly happy personality as Trixie. All of this leaves me concerned for Ella as a character because I’m not sure how fans are going to initially receive her if they can't fully distinguish her from an already established character. Garcia’s energy fits perfectly with both Tom Ellis and Lauren German, both of whom appear as though they will be her primary scene partners, but I’m not sure if that is going to be enough to keep fans from unleashing a bit of backlash on the character. Trixie, and her portrayer, Scarlett Estevez, are beloved by fans of Lucifer, but the fact remains that Estevez’s young age limits how much the show can utilize her. As long as a good balance is set between Ella and Trixie having screentime than I definitely think there is a place for both of them in the hearts of fans. I just hope other fans will give Garcia, and the writers, time to fully distinguish Ella, before dismissing her as a Trixie clone. Because, the truth of the matter is, they can go much darker places with Ella solely because of her age, and I think that will present some really great story points. Ella is coming into the series with strong religious faith, so it will be interesting to watch that challenged throughout the season. Lucifer's mom had a massive part in this episode, except she only made her physical appearance in the closing seconds, making it hard to have any opinion on her as of yet. 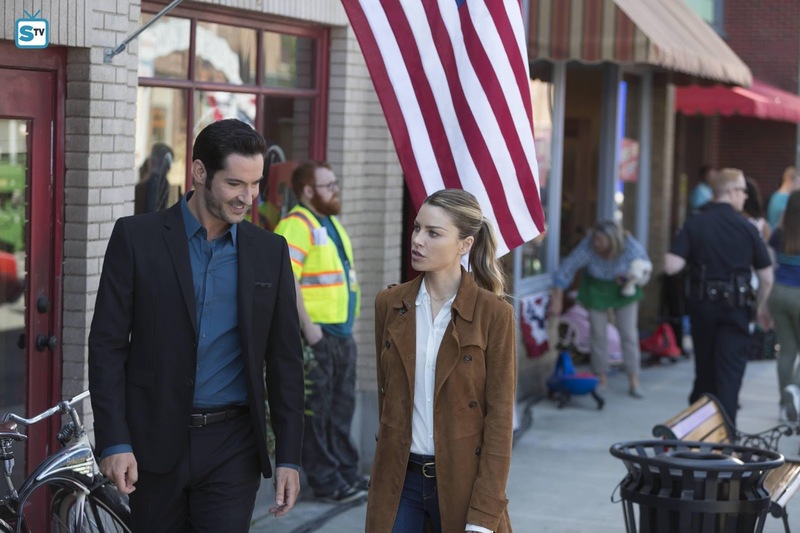 Though, thanks to Lucifer’s chat with Dr. Linda, we do know how she came to be on the wrong side of her ex-husband and son. To start off with, I was fascinated by how similar Lucifer’s early years were to just about every human. He lived in the perfect place, literally since his home was Heaven, and he had two loving parents and a whole array of siblings. The problem is his father got lost in his work, creating us humans, leaving him oblivious to the fact that his family was falling apart around him. So, instead of trying to fix things in a nurturing way, he took a tough love approach. He banished his son, Lucifer, in hopes of teaching him a lesson and causing some of the strife to leave Heaven with him. Except, while Lucifer's mom was able to stay quiet for awhile, she ultimately fell out of grace with her husband as well, which makes me wonder what the final straw was for her. Did she finally speak up for Lucifer earning herself a place in Hell? Or, was her action more sinister like Lucifer has apparently come to believe? I bring this all up because I have to throw out the theory that perhaps Lucifer's mom allowed herself to be tortured because she felt like she deserved it for not standing up for Lucifer in the first place. That would explain why she doesn’t appear to be out for revenge against her son. Instead, she sought him out for help. Now, as to what she needs help from is unknown, but I’m curious to learn more about her in the coming weeks. Is she a loving mom or a sinister monster? Only time will tell, but for Lucifer and Amenadiel’s sakes, I hope it’s the former. 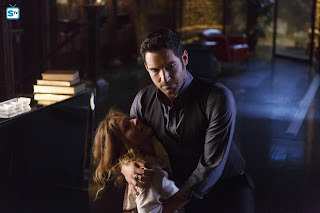 Since Lucifer has a lot of things to hash out with his parents I don’t see him getting too cozy with her too fast, but Amenadiel may need a little motherly love to help him heal. While his physical body seems to be back up to full capacity following his near-fatal injury, his abilities seem to be on the fritz. There doesn’t seem to be much rhyme or reason to it, though, because in the opening act he was easily able to freeze the robbers. But, later in the episode at the police precinct, he couldn’t even hold a mere room of humans in suspension. Then at the end of the episode, he couldn’t even hold a single coin in suspension. It was as though the further he got into the episode the weaker his abilities got. Is this an after-effect to his injury, or is he being punished by his Father for the events of last season? I can’t wait to see which it is. If this power glitch is being caused by his Father then I’m curious to see how Amenadiel handles being cast out of His grace like Lucifer was. Surprisingly, only two days have passed since the season finale, yet in that time frame, Dan somehow managed to get out of trouble with nothing more than a slap on the wrist and a minor demotion. I really felt like I missed some important bit of information when Dan suddenly reappeared back on the screen. I’m glad that he is back, but I wish it hadn’t been so easy for him to get back to work. I was hoping that we would get to see what Dan was like without the badge. I think it would have been an interesting angle to show this man who has dedicated his life to his work unable to do the one thing that defines him. That would have given the show a lot of room to evolve him. Though I do have faith in these writers, so I suspect that Dan’s return to duty has some strings that we’re not yet privy to. Based off of Chloe’s mixed interactions with Dan, it looks like he has a lot of work to fix things with her. She dealt with him being at her crime scene and even accepted his help on the case, but at the end when they were both at the precinct she seemed to have no interest in having to deal with him. Their strained dynamic is going to have to be dealt with in time, but for now, Chloe has her hands full with Lucifer. Despite Amenadiel’s very valiant effort to make Chloe question what she saw when Lucifer got shot, she seems more determined than ever to figure out the mystery surrounding Lucifer. Even though she is still in a state of denial, she is definitely starting to come around to the possibility that there is more to Lucifer than meets the eye. I really enjoyed her interactions with Ella in regards to Ella’s religious point of view on Heaven, Hell, and the Devil. Chloe really wants to believe, but her logical brain is having trouble taking that leap of faith into believing. I feel, and hope, that the moment of revelation will occur at some point in this season, but she does still have a bit of a journey to go on to make it believable when the moment finally arrives. I hope Chloe and Ella will have more in-depth conversations because Ella’s insight could be crucial to helping Chloe accept the truth. I do like that Chloe tossed the blood, but the fact that she just tossed it in the trash where anyone can come by and snag it does have me a tad worried. With both Amenadiel and Maze seemingly coming around to the idea of Chloe being close to Lucifer, I can’t help but be a tad nervous about whom the new foil will be for their partnership this season. Amenadiel may not want Chloe to know the truth, but I don’t think he’ll jeopardize things with his brother again by targeting her. Maze actually seemed to develop a small amount of respect for Chloe at the end of last season, and with the changes in her life, I see her teaming up with Chloe more, not trying to get rid of her. 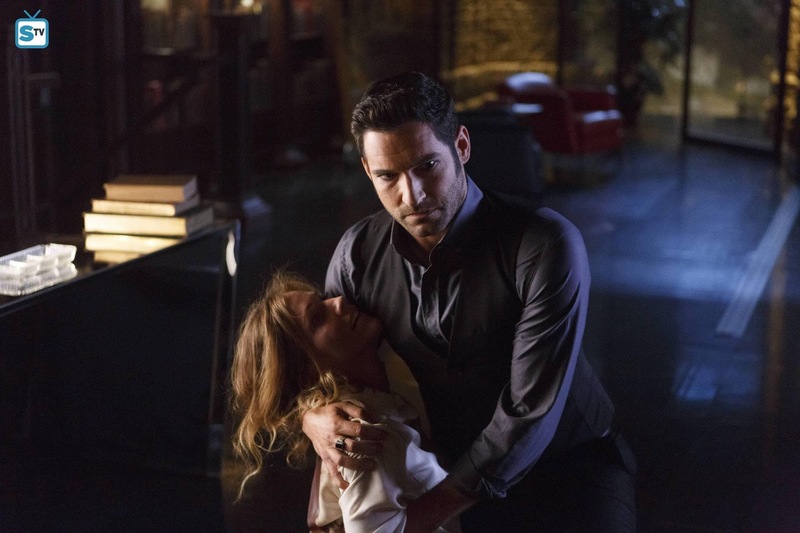 That leaves me concerned about Lucifer's mom, if she is indeed a loving mom then it could be interesting to watch her try and protect her little boy from the human he is infatuated by. 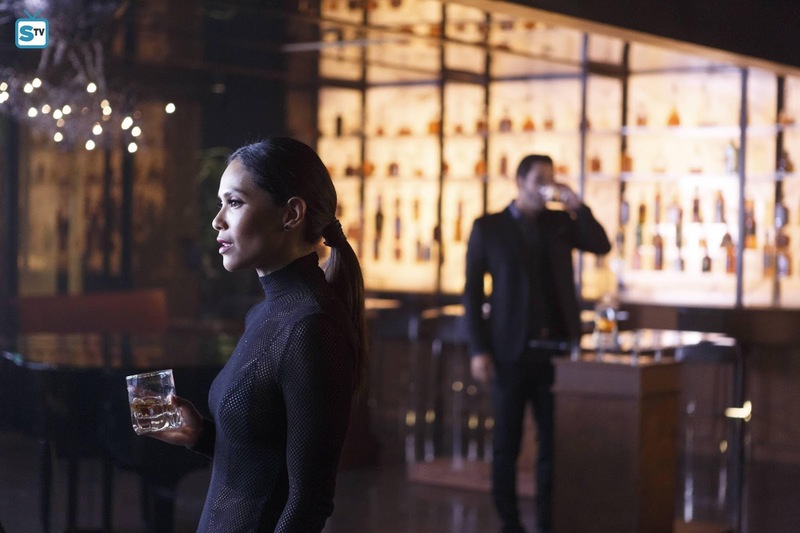 While Lucifer's mom may very well be the one to stir up trouble this season, Maze still isn’t out of the game of trouble making. Thanks to Dr. Linda she is trying to better grasp her new life on Earth, but at her core Maze is still a demon with a responsibility to Lucifer. 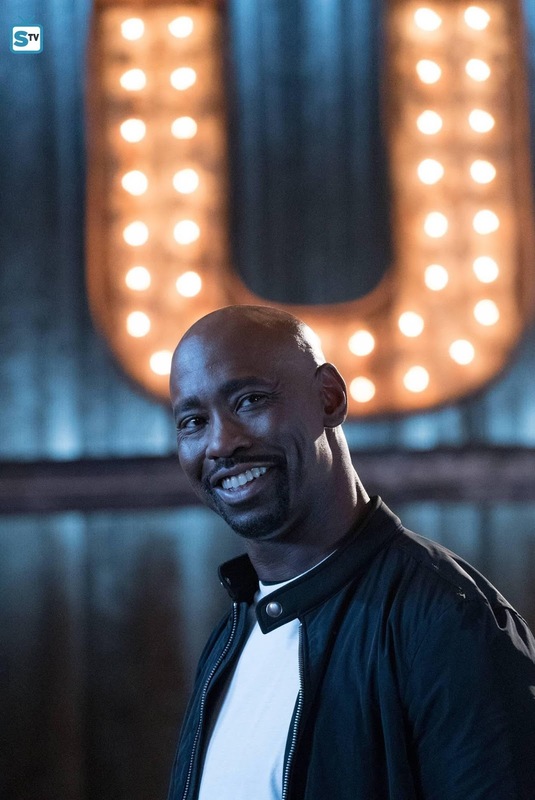 Even though he questioned her loyalty, I don’t think Maze will ever be able to fully betray either Lucifer or Amenadiel. Whether she likes to admit it or not, they both have a special place in her demonic heart. In an interesting shift, just like her boss, she has developed a soft spot for a human. And not just any human, but one that Lucifer confides in. Dr. Linda started to strike up a friendship with Maze at the end of last season, but it was so weird to see them hug at the end of the episode. It was a good weird, but still weird, because for that brief moment Maze seemed so human. She was just a woman hanging out with a friend doing normal human things. We don’t yet know what happened during Maze’s absence, but I’m quite excited to see those blanks filled in. Her disappearance in a flash of bright blinding light seemed as though she had been forced someplace against her will. Then to find out she seemingly left of her own free will and went to hang out with a human seems odd. There has got to be more to her story, but I’m glad that the writers left parts of her time away a mystery. It gives viewers some fun interactions to look forward to. 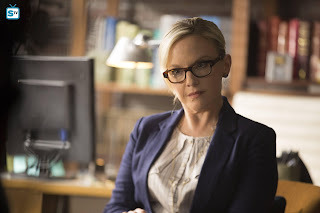 Plus, the possibility of the incredible talents of Lesley-Ann Brandt and Rachael Harris sharing a lot of screen time this season is a thrilling prospect. They were great in what few moments they had together last season and I can't wait to watch them shine together this season. That brings me to Dr. Linda, who has her hands as full as ever with Lucifer and now Maze, not to mention I would be surprised if Chloe and Amenadiel don’t pay her some visits this season as well. Her business is doing as well as ever thanks to this eclectic group of new friends and clients that she has acquired thanks to Lucifer. I really hope that all of this means we’ll see more of Dr. Linda out of her office this season and getting more involved in the core action. Given how intertwined she is with both angels and demons I think it’s almost a guarantee that she’s going to get caught in the crossfire from time to time. I’m most excited to watch her friendship with Maze grow because both of these characters can definitely benefit use a friend to confide in. Lucifer is ultimately stuck smack dab in the middle of everything. His brother is on the fritz. His therapist and right-hand woman are hanging out behind his back. His mother is randomly back in his life. Chloe is still causing him some mortality issues. Not to mention, Lucifer is still indebted to his Father for the whole saving his life thing. He spent most of this episode unhinged and frantic to find his mom. 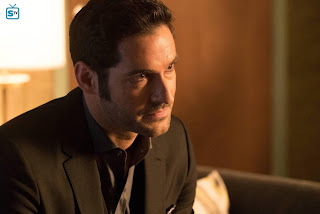 It was kind of unnerving to see Lucifer so unhinged throughout the episode, but it was fun to watch Ellis bring Lucifer to life again. He has such a great grasp on what makes Lucifer tick that it’s fun to watch him tackle Lucifer’s quirky nature. 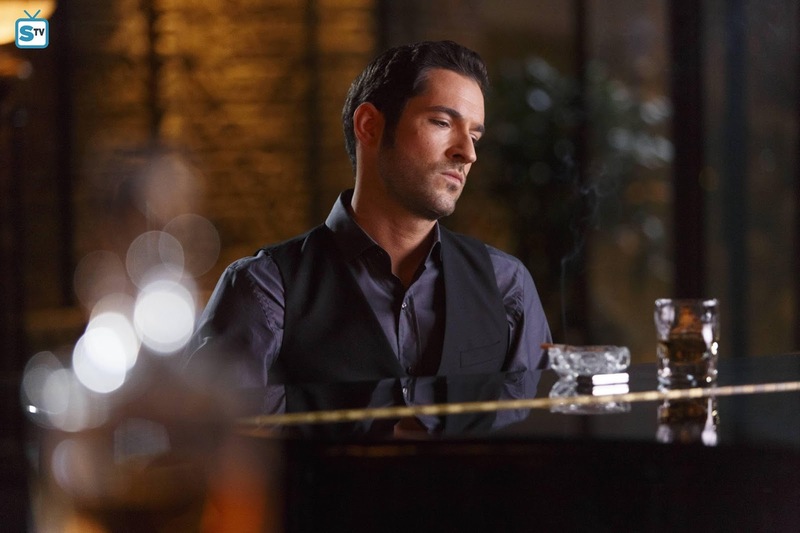 I also adore that Lucifer still turns to his piano to decompress after a stressful day. I would be beyond happy if every episode this season ends with Ellis belting out some tune while a montage plays. Ellis has an extraordinary voice and the show needs to exploit that as much as possible. This little quirk also plays perfectly into Lucifer’s personality and adds a little something extra to his depth as a character. This was an incredible way to start off the new season. The point of a season premiere is to quickly reintroduce viewers to the characters then launch into setting up plot points that can unravel throughout the season. This episode did all of that brilliantly and left just enough unanswered questions to keep long standing fans hooked and draw in new ones. There was mystery and action all interlaced around a perfect core of sarcastic quips. This episode leaned slightly more to the procedural side of the spectrum but kept a firm hold on its supernatural ties as well. It is that perfect blend that makes Lucifer a truly unique and intriguing show that keeps fans engaged week after week. With a phenomenal cast driving the story and exceptional writers helming the journey these characters are on, this promises to be yet another season of fun and drama. In fact, mark my words, this season will be even better than the incredible first season. Tune into FOX at 9/8C on Monday, October 3rd to find out what Lucifer's mom has in store for her sons. Hit the comments with your thoughts about this episode. Do you like Ella as a character? 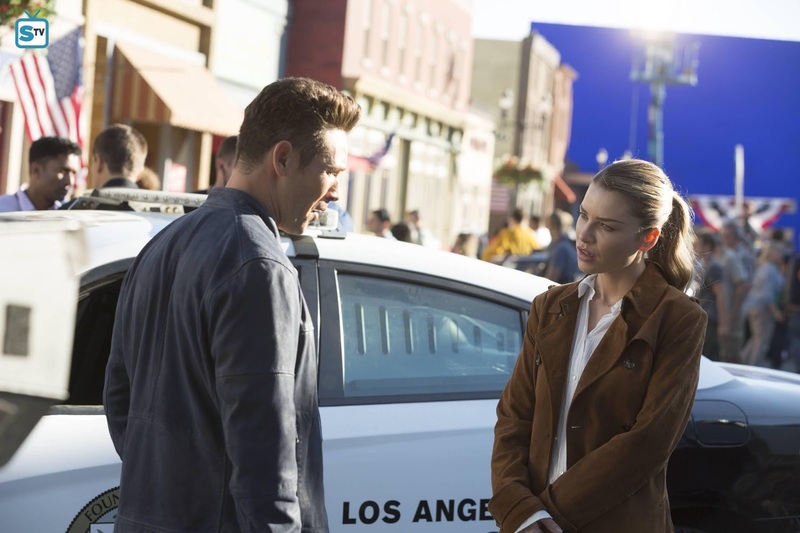 How long do you think it will take before Chloe accepts the truth about Lucifer? Do you love Ellis’ singing as much as I do? What were your favorite parts of this episode? Aimee works for a newspaper in North Carolina and has a BA in Broadcasting and Cinema. She has been a TV lover since before she really understood what TV was and has a passion for analyzing performances and theorizing what may happen on her favorite shows. Her interest in television covers just about every genre, but her first love is the sci-fi/fantasy genre. For the 2016/2017 season she will be reviewing Chesapeake Shores, Dark Matter, Frequency, Gilmore Girls, Jessica Jones, Lucifer, and Orphan Black. She will also be handling the Best Scene Polls for Supergirl and previewing several new and returning shows. She also oversees the popular SpoilerTV feature, Performers of the Month (#POTM) which highlights the most outstanding actor and actress from each month. You can email her at aimee@spoilertv.com.